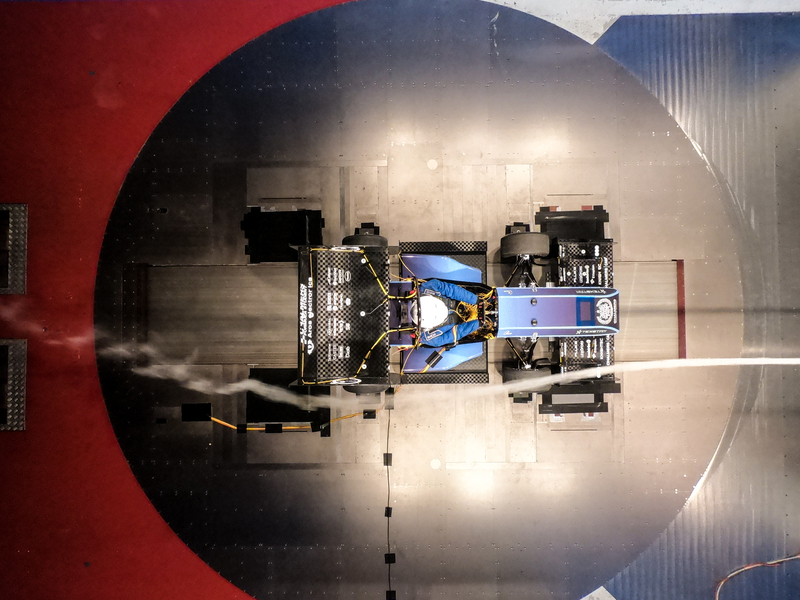 We had the opportunity to test the CFS18 car in the Volvo Wind Tunnel thanks to our sponsor Volvo Cars. 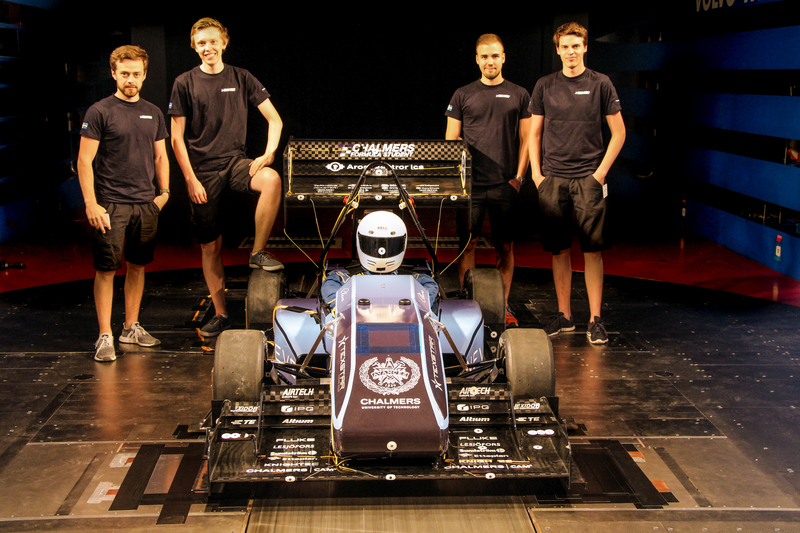 With 47 pressure sensors and a great team to help us, we made many tests with and without the aero package, the data is now being evaluated and looking promising. Here are some pictures of the test with the Aerodynamic Subgroup. 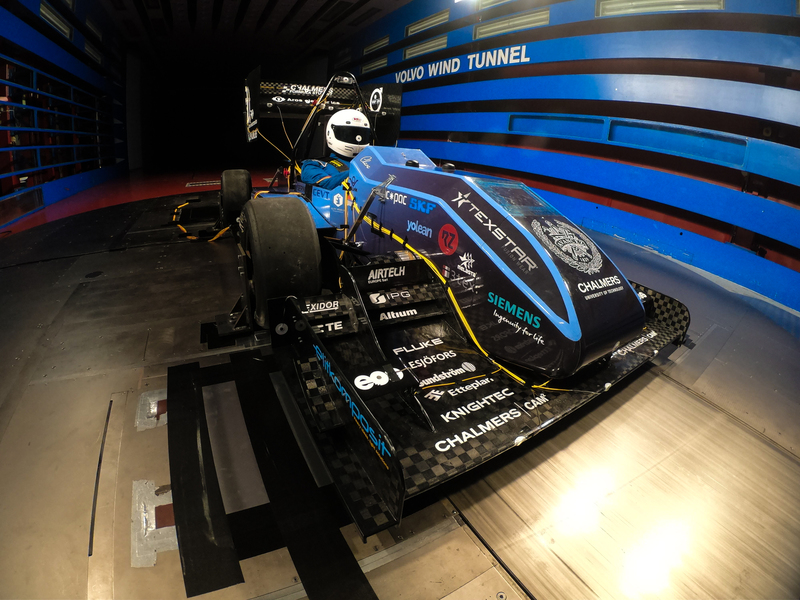 The car in the wind tunnel ready for testing. Adding smoke to get a visual of the wind. The Aero Subgroup standing next to the car. From the left: Filip Ljungström, Johan Larsson, Johan Idoffsson, Erik Josefsson.